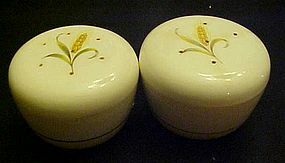 Vintage Goldcrest wheat pattern by Alliance salt and pepper shakers. Yellow band with gold. Original cork stoppers, nice condition. One does have a small light stress crack that is barely noticeable. A wonderful set. 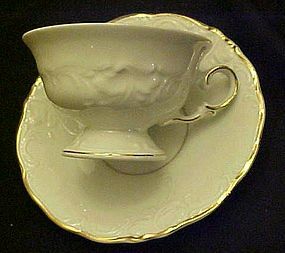 Lovely white china footed cup with matching saucer with gold trim made in Poland. 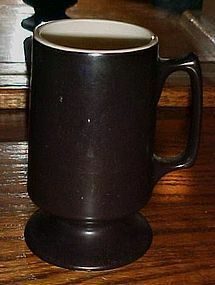 Relief scrolling on the edges of the saucer, center and foot of the cup. Pattern name is Golden Elegance (discontinued pattern). A very appropriate name for this set, as it is truely very elegant. I have 7 sets available and all are pristine. Price is for one cup with it's matching saucer. 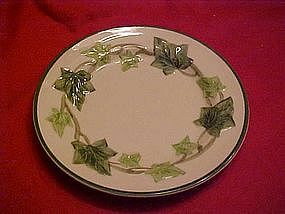 Discontinued Pattern: ASHLEY by GORHAM CHINA Actual: 1989 - 1993. Description: TOWN & COUNTRY,PINK & YELLOW FLOWERS Pretty flat cup and saucer in the Ashley pattern by Gorham china. Ivory with beautiful pink flowers and a grey trim. Both pieces are pristine with no wear. I just have one set. I will be listing a few more pieces in this pattern. Pictures show seperate pieces but price is for the cup and saucer together. 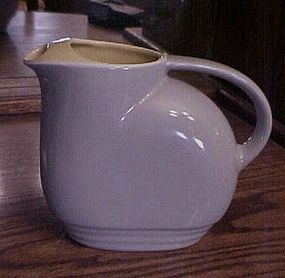 Discontinued Pattern: ASHLEY by GORHAM CHINA Actual: 1989 - 1993. 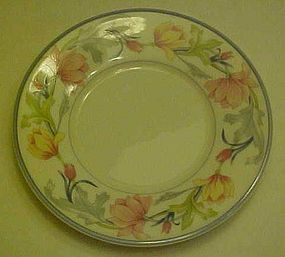 Description: TOWN & COUNTRY,PINK & YELLOW FLOWERS Pretty 10 5/8" dinner plate in the Ashley pattern by Gorham china. Ivory with beautiful pink flowers and a grey trim. 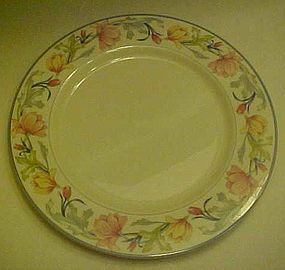 The plate is pristine with no wear. I just have one. I will be listing a few more pieces in this pattern. 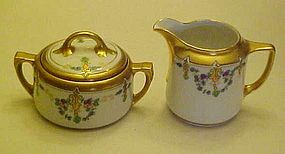 Discontinued Pattern: ASHLEY by GORHAM CHINA Actual: 1989 - 1993. 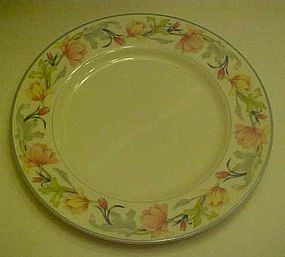 Description: TOWN & COUNTRY,PINK & YELLOW FLOWERS Pretty 8 3/8" salad plate in the Ashley pattern by Gorham china. Ivory with beautiful pink flowers and a grey trim. 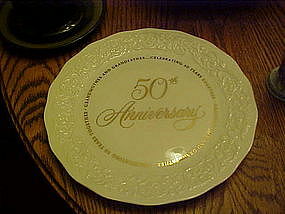 The plate is pristine with no wear. I just have one. I will be listing a few more pieces in this pattern. 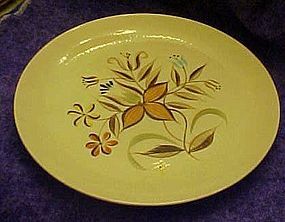 Granada chop plate by Kasuga Japan 13"
A hand made and hand painted pottery made by Kasuga of Japan. Impressed with a linen like weave and handpainted with a bright stylized floral pattern. 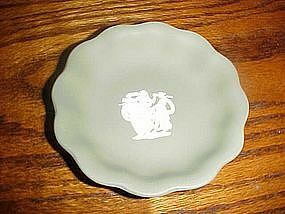 This is the round chop plate or platter. In very good condition. No chips or cracks. 13" in diameter. 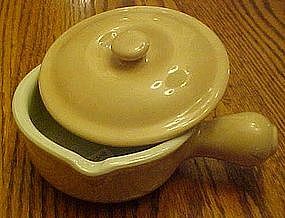 Condition is very Good with minor crazing and a few small discolorations under glaze. No chips or cracks. : Vintage 1960s. 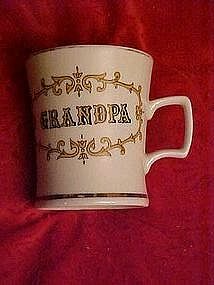 Nice big coffee mug for Grandpa, and is says so. Nice size, measures 4" tall. No chips or cracks. Heavy china, gold trim. Some of the gold trim is worn. 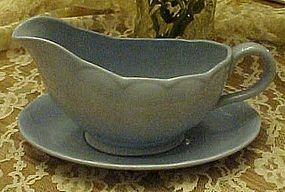 A pretty solid blue lupin petal gravy boat and oval liner, made by Grindley in England. Liner is not attached. Embossed edging. Perfect condition. 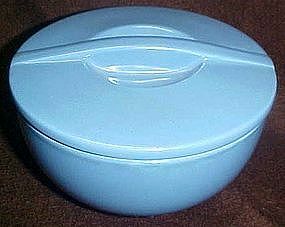 Would even go nicely with most dinnerware that has blue, since it is a solid color. Selling both pieces together. Both pieces are perfect with no damages. Beautiful vintage W. H. Grindley & Company After the Constable. 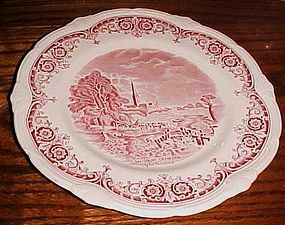 Salisbury Cathedral depicted on the front of the plate with incredible color and style that was made in England. Pink transferware. 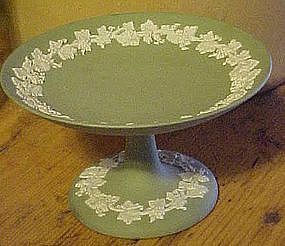 This fantastic plate measures approximately 10” in diameter. No chips,cracks or staining.